This is a question many of our clients ask when we first reach out to them. 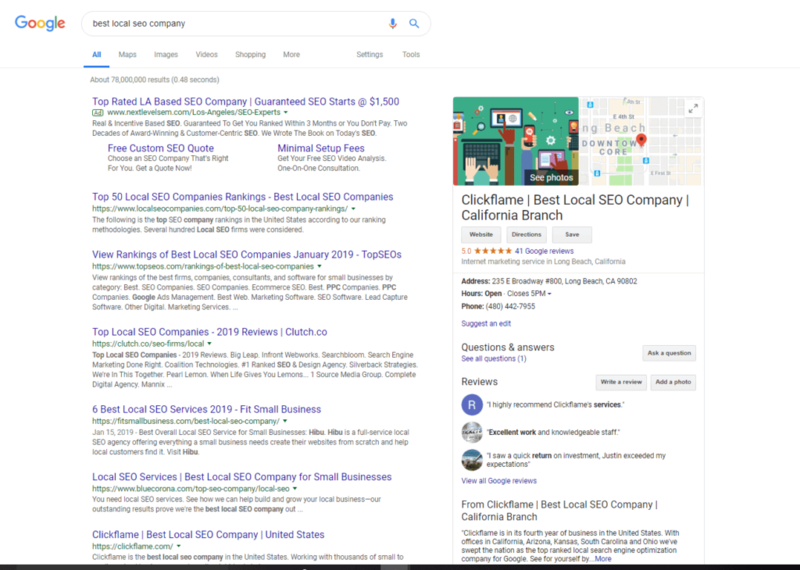 So, we decided what better way to make it clear than write about what local or hyper-local search engine optimization actually is. Search engine optimization is the process of optimizing your information to show up on search engines. More specifically, local search engine optimization is the process of optimizing your business to show up in localized searches such as “Las Vegas Locksmith”. 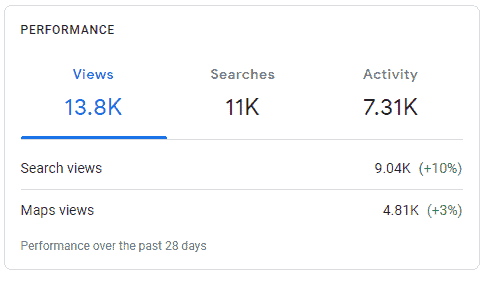 For this article we’ve included several images from a client, Silver State Locksmith and what their search engine optimization looks like for them. Working with resources like directory citations, website optimization and content marketing you can quickly get new business through these local searches. Most important however, is the optimization of your Google My Business Page. This is the area of your online presence that is most likely to be seen first for most localized business searches. Working with these few steps will show you an immediate impact in the insights tab on your business page. Growing your local search engine campaign from here relies much on directory citations. Run a scan and look at how your business shows up on our Directory Scan page. By making certain that your listings also have many of the same steps we covered in setting up your Google My Business page you’ll be showing search engines like Google that your business is relevant to local users search. Search engines don’t just look at your profile on their platform but also index how your business shows up elsewhere on the web. Think about it, if what makes Google more successful than any other search engine is their ability to show accurate results to a users search quickly, inaccuracies about your business make you a less desirable option to show to search traffic. While there are many steps to take to optimize your website, some of the main ones we will cover here. When choosing a domain name for your business a popular way of showing relevance to a local market is picking a geo-targeted domain name. Longbeachlandscaping.net is one such example. When doing a search in Google for terms like “Long Beach Landscaping” or “Long Beach Lawncare” you’ll notice the repeated presence of Grassland Landscape & Lawncare in both the local listings and the section beneath with their website. Their website is helping them show up to a local market through strategies like their main header being “Landscaping Services” and the density of their content being user relevant to searches they’d like to show up for. Your website should not be fire and forget. When you post new content and photos about your business on your website, search engines index this and place value on the right kind of content. Make certain what you are posting is industry related and the more you post content the more traffic you will receive. Meta descriptions and other on-site optimization is important but above all else, putting out new quality content is the number one thing search engines want to see from your business. While developing new content can be difficult, the return on the investment of your time will do more for your business growth online than any other single area. Do Social Profiles Matter for Local Marketing Online? Social profiles do matter when it comes to local marketing. By listing your social profiles on directories that accept them and having links to them on your website, search engines start to index and read your social signals. Simply having a profile on sites like Facebook and Twitter is not enough. Make sure to maintain healthy posting regimens of the same valuable content you are preparing for your website and directory citations. The more you work for your business, the better your business will work online for you. With many options to explore in each of the areas covered in this article, we’ll be diving into detail about each section in future postings. If you’re looking for a local search engine marketing plan for your business please reach out to us on our contact page. Check out our recent video entitled “What is Local Search Engine Optimization” on Youtube. For more information on local seo strategies you can check out “Best Local SEO Strategy for 2017”.